Home / About The Center / Who Are We? Our dedicated team of doctors and staff are committed to ensuring the highest quality care for patients. Our doctors are attending physicians and full time faculty members at the Johns Hopkins University School of Medicine. All are Board Certified in Rheumatology. Other members of our Scleroderma Center include a clinical nurse, and several research and patient care coordinators and medical assistants who assist in the care of our patients. Dr. Wigley received his M.D. degree from the University of Florida College of Medicine. He completed an internship and residency at Johns Hopkins where he also trained in a postdoctoral fellowship program. Dr. Wigley is a physician-scientist whose specialty is Raynaud’s phenomenon and scleroderma. He founded The Johns Hopkins Scleroderma Center with Robert A. Wise, M.D., of the Johns Hopkins Division of Pulmonary Medicine. 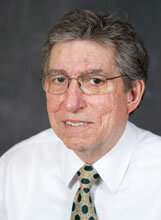 Dr. Wigley has been honored with American College of Rheumatology awards. He received the ACR Distinguished Clinician Scholar Award in 2009 and the ACR Masters Award in 2011. In 2012, he was given the RARE Champion of Hope Award for Medical Care and Treatment. In 2014, he received from the American College of Physicians the Mary Betty Stevens Award for Excellence in Clinical Research. In April 2014, he received the Martha McCrory Endowed Chair which will support his work in Scleroderma research at Johns Hopkins. Dr. Hummers earned her M.D. degree from the University of Rochester School of Medicine & Dentistry. She completed her internship and residency at Thomas Jefferson University and a post-doctoral fellowship at Johns Hopkins. Dr. Hummers is a physician-scientist whose research focuses on properties of blood that could help predict outcomes for patients with scleroderma. She is also interested in understanding the natural course of the disease and developing new treatment for scleroderma. She has a special interest in a rare disease called scleromyxedema. Dr. Shah earned her M.D. degree from the Johns Hopkins University School of Medicine. She completed her internship and residency at Stanford University and a post-doctoral fellowship at Johns Hopkins. Dr. Shah is a physician-scientist whose research interests include cardiovascular complications in scleroderma as well as the connection between scleroderma and cancer. Dr. McMahan received her M.D. degree from The University of Texas at Houston Medical School. She completed her internship and residency in internal medicine at The University of Texas -Southwestern (Dallas, Texas) and a post-doctoral fellowship in clinical and experimental rheumatology at Johns Hopkins University. During her rheumatology fellowship, she also earned her Master’s in Health Sciences at the Johns Hopkins Bloomberg School of Public Health. 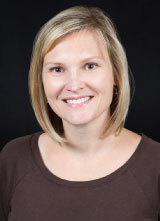 Dr. McMahan’s research focuses on gastrointestinal complications in scleroderma. She is working on new ways to evaluate and treat gastrointestinal problems. Dr. Paik is an Assistant Professor of Medicine in the Division of Rheumatology. She completed her undergraduate degree at the Johns Hopkins University and medical degree at George Washington University School of Medicine. 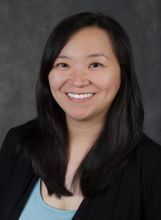 Thereafter, Dr. Paik pursued her internal medicine residency at UCLA-Cedars-Sinai/West LA VA medical center, where she served an additional year as chief resident. She then completed fellowship training in rheumatology at Johns Hopkins and then transitioned to the faculty, as a faculty member at the Johns Hopkins Myositis Center. Dr. Paik’s clinical and research interests are focused on neuromuscular manifestations of autoimmune diseases, particularly in the areas of myositis and scleroderma. 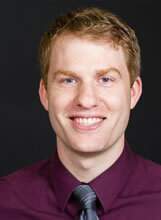 Dr. Christopher Mecoli is an Instructor in Medicine in the Division of Rheumatology. He received his medical degree from Rutgers New Jersey Medical School and completed his internship and residency at the Hospital of the University of Pennsylvania. Dr. Mecoli has a particular interest in exploring the relationship between vascular biomarkers and specific scleroderma disease outcomes such as pulmonary hypertension, digital ulcers, and telangiectasias. Regina Greco is the nurse practitioner/program manager at the Johns Hopkins Scleroderma Center. Ms. Greco is responsible for all daily clinical operations, including management of clinical staff and assisting physicians with patient care. 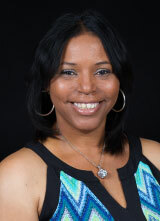 She is now a Nurse Practitioner who will follow and manage patients with scleroderma. Her involvement with patients, families, and physicians is critical to the clinical operations of the Center. 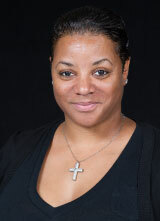 Consuelo Laws is a medical office coordinator at the Johns Hopkins Scleroderma Center. Ms. Laws manages new patient referrals, patient scheduling, prescriptions, medical disability forms, patient clinic activities, and clinical office operations. 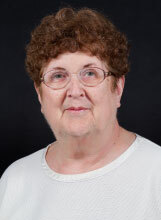 Sheila Friend is a medical office coordinator at the Johns Hopkins Scleroderma Center. Ms. Friend manages new patient referrals, patient scheduling, prescriptions, medical disability forms, patient clinic activities, and clinical office operations. Pam Hill is administrative coordinator for Dr. Fredrick M. Wigley and the other physicians at the Johns Hopkins Scleroderma Center. 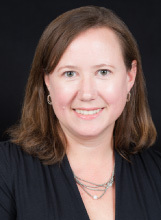 She oversees physician scheduling and administrative functions such as grant proposals, coordination of meetings, ordering supplies, and other administrative matters. 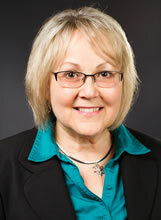 Gwen Leatherman is a Clinical Research Nurse Coordinator at the Scleroderma Center. She is responsible for all clinical trials and investigator-initiated clinical research. Margaret Sampedro is a Research Program Coordinator at the Center. She is responsible for assisting with clinical research projects and data entry. 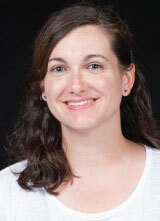 Adrianne Wood is research data manager at the Johns Hopkins Scleroderma Center. 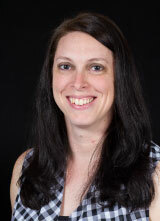 Ms. Wood manages the research database used for clinical and epidemiological research. She also organizes clinical research projects. Madeline Myers is a Research Program Coordinator at the Center. She is responsible for assisting with clinical research projects and data entry. James Beckett is completing his MD and PhD degrees in the laboratory of Dr. Hal Dietz in the Institute of Genetic Medicine at the Johns Hopkins School of Medicine. Through the use of animal models and patient samples, his research focuses on understanding the contribution of a disorganized extracellular matrix and an activated innate immune system to the disease pathogenesis of scleroderma. He hopes that this research will lead to new understanding of the disease and novel therapeutic strategies. 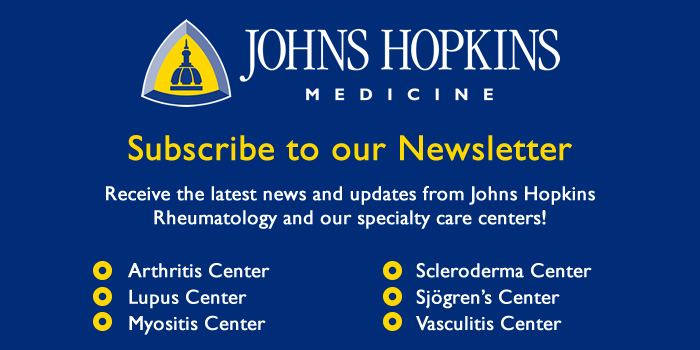 The Johns Hopkins Scleroderma Center is proud of its association with excellent physicians and scientist who are experts in treating the various conditions that occur in patients with scleroderma. In the earliest days of the Center, Dr. Wigley turned to colleagues from throughout Johns Hopkins, asking them to lend their expertise. As a result, patients at The Johns Hopkins Scleroderma Center have the comfort of knowing they are in the hands of this group of extraordinary physicians. Dr. Robert Wise is an expert in chronic obstructive pulmonary disease. He and Dr. Wigley have worked together since the 1970s to advance the understanding of lung diseases in patients with scleroderma and in developing new treatments of scleroderma lung disease. Dr. Hassoun uses state-of-the-art approaches to treating scleroderma patients who develop pulmonary hypertension and, is directing a research program investigating the cause and treatment of pulmonary arterial hypertension in scleroderma. Dr. Stephen Mathai is a board-certified pulmonologist. His special clinical and research interests are various forms of pulmonary arterial hypertension including scleroderma-associated pulmonary hypertension. Dr. Abdi is a gastroenterologist with an interest in scleroderma and how it affects the GI tract. She helps to diagnose, manage and optimize therapies to improve gastrointestinal function in patients with scleroderma. Dr. Mukherjee received her M.D. degree from the George Washington University School of Medicine and Health Sciences. She completed her internship and residency at Drexel University, and a post-doctoral fellowship in Cardiovascular disease at the George Washington University. 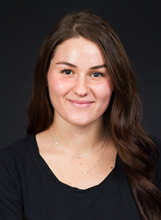 She is also a recent graduate from the Johns Hopkins Bloomberg School of Public Health, with an M.P.H. 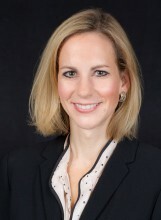 She serves as the Medical Director of Cardiac Rehabilitation and Director of Echocardiographic Research at Johns Hopkins Bayview Medical Center. 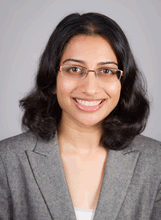 Dr. Mukherjee is a physician-scientist whose research interests focuses on the diagnosis and management of cardiac disease in Scleroderma patients. 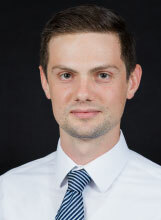 Dr. Lifchez has a special interest in hand reconstruction and microsurgery involving the hand. James J. Sciubba, DMD, Ph.D.
Dr. Sciubba, past director of the Johns Hopkins Division of Dental and Oral Medicine has a special interest in Sjögren’s syndrome and the oral complications of scleroderma. Dr. Anhalt has special expective in autoimmune skin diseases and dermatoimmunology. He is skilled in the diagnosis and management of complex cases with autoimmune disease. Dr. Pasricha is an expert in neurogastroenterology and deals with disorders affecting the nerves and muscles of the stomach causing problems with gastrointestinal motility and pain. Dr. Fine is an experienced kidney specialist who understands scleroderma and how the kidneys can be involved. He helps diagnose and manage complex kidney disease in scleroderma patients. Dr. Andrew Mammen is an expert in autoimmune myopathies. He works with the rheumatologists at the Scleroderma Center to diagnose and manage the nerve and muscle complications of patients with rheumatologic diseases. Dr. Haythornthwaite is among the first to study the effects of scleroderma-related changes in physical appearance on patients’ social interactions. She also studies pain and depression associated with chronic illness. Dr. Ginette Okoye focuses on skin, hair and nail conditions of people with darker skin tones, such as people of african-american, asian, hispanic, middle eastern and native american descent. As director of the Ethnic Skin Program, she is committed to outstanding clinical care and research in the field of ethnic skin and to community outreach and enrichment.